It was a good effort, but for me was doomed from the start. Jamie Oliver in Boots. More about volume than brand alignment. It’s a bit like Asda selling Bose, Bentley or maybe a premium food range by Heston Blumenthal. The brands just don’t connect and their audiences have almost no overlap, so they are doomed to fail from the start. 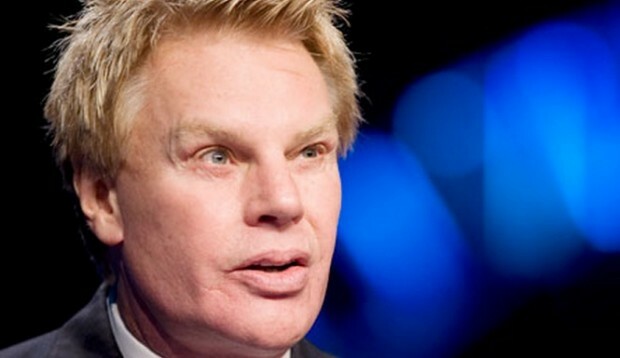 The danger for the premium brand is that it becomes tarnished by hanging out with the cheaper one. A while ago I predicted they would need to include it in the Boots meal deal for it to succeed. 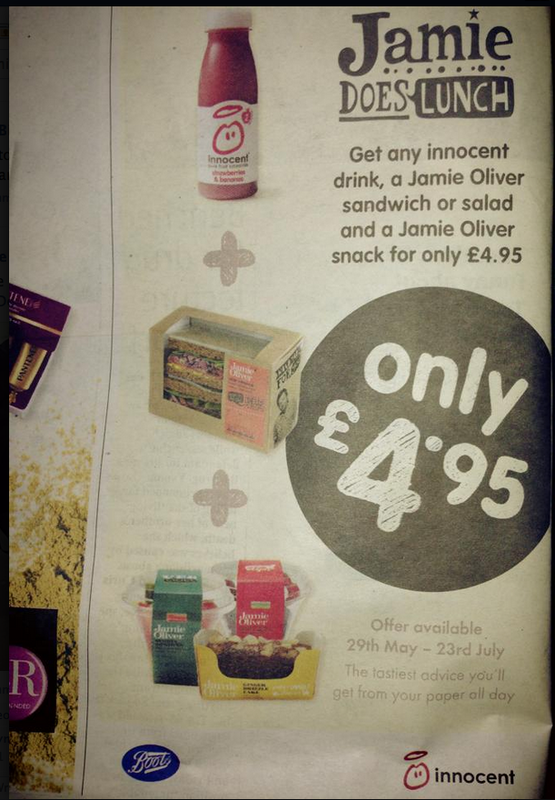 And then more recently, they blinked and made a mini meal deal with an alignment with Innocent – which was a good thing. And now they have gone one better (cheaper) again and made a real meal deal with a drink and a snack for the fixed price of £4.95. This is almost as cheap as some of the sandwiches on their own. It may be a last roll (or salad) of the dice, but it does feel like an important price point to have ducked under and for me is now far more likely to succeed. What it will do for the long term brand equity of Jamie Oliver is less sure, but it’s a step downwards that will be very hard to recover from. Thanks for the picture Leo.